From an outsiders perspective, it would appear that soul is running through the veins of Caiti Baker. 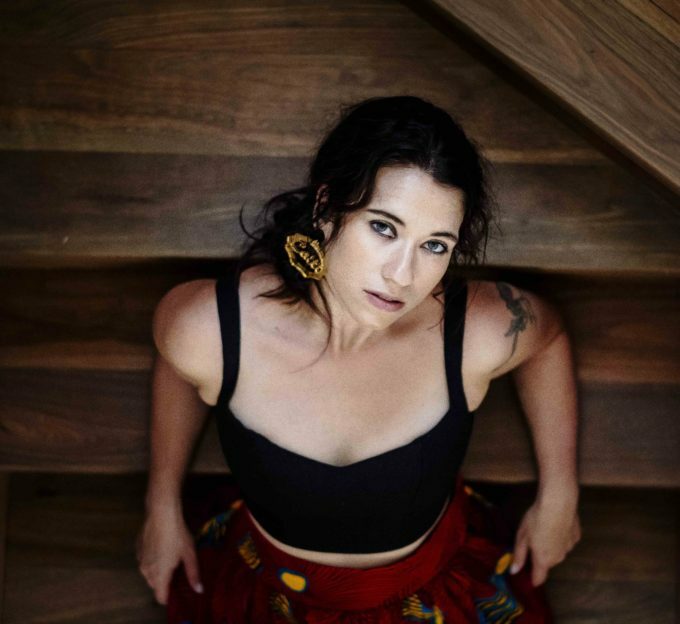 With her debut single ‘Heavy On My Heart’ already added to Double J airwaves across the country and a national tour in support of it already underway, we Get To Know Caiti in our brand new feature. 02. Where are you based? I spend my time between Darwin, NT and in a rural village in the Northern Rivers district of NSW. 03. How did you get your start in music? I’m the daughter of a blues musician so I grew up in the local music industry attending gigs and festivals. I never really thought I’d be a musician until I met my producer James Mangohig in 2006. We began writing songs together and formed a band called ‘Sietta’. We recorded EPs and LPs and toured nationally and internationally. 04. Give us five words to best describe you as an artist. Honest. Strong. Sassy. Gritty. Quirky. 05. Tell us a little bit about your sound and how it developed. My aforementioned blues musician father and I didn’t always get along. We had a four year break from one another and upon our reunion, he bestowed upon me a USB key filled with hundreds of original guitar and harmonica licks, riffs and ideas that he had recorded on his Nokia mobile phone. James, my producer, converts those files and samples them into his production. I write songs to the instrumentals and Michael Hohnen, James’ production partner (and my label’s creative director) lays down double bass. Together, the three of us work on crafting each song appropriately with contributions from some amazing musicians around the country. I would describe my sound as a gritty low fi blend of traditional R&B, trad jazz and neo soul with my own unique flavour that I have yet to name! 06. Who have been your musical influences? The music I grew up listening to and the music I discovered in late primary school. The blues, big band and soul greats such as Little Walter, Muddy Waters, Big Mama Thornton, Cab Calloway, Count Basie, Wilson Pickett, Irma Thomas, Aretha Franklin, Jimi Hendrix, Tina Turner, James Brown etc… ’90s R&B icons Missy Elliott, Aaliyah, TLC, Lauryn Hill, Erykah Badu, Faith Evans, SWV, Destiny’s Child, D’Angelo etc. On the production side, I’m heavily inspired by the RZA (Wu-Tang Clan), Timbaland, Just Blaze, Rich Harrison, Dr Dre, Teddy Riley, Jermaine Dupri and the Neptunes. 07. What are your favourite songs of all time? Hard question, but ‘Ruler Of My Heart’ by Irma Thomas (written by Allen Toussaint) will always be in my top ten of all time. I love the song ‘My Babe’, which both Little Walter and Tina Turner have released versions of. The blues classic ‘Spoonful’, which everyone has done a version of! (Howlin’ Wolf’s being my favourite). Etta James’ ‘Wallflower (Dance With 08. What was the first album you bought? Officially, that would be ‘The Lion King’ Soundtrack! 09. Give us a little fun fact about yourself that people might not know. I went to a Jay Z concert in Brisbane in 2006 and he called me out twice, complimenting my dancing. Haha! 11. What’s the best advice you’ve been given in your career? Trust your gut. If it doesn’t feel right, it’s probably not. 12. Tell us about your latest release. ‘Heavy On My Heart’ is a bouncy, uptempo genre blurring song that I sing from my gut about the state of the world and where I see myself sitting in it currently. 13. What do your future plans involve? Finishing more songs, writing more songs, touring the country, supporting a few amazing artists who I love… hopefully getting overseas too!